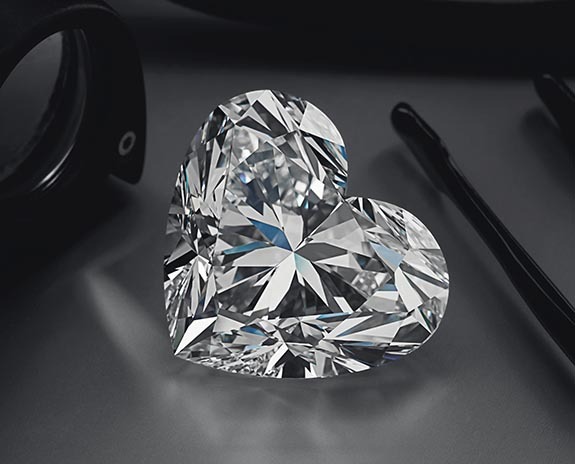 The largest D-flawless heart-shaped diamond ever to be offered at auction will be the headliner of Christie's Magnificent Jewels event in Geneva on May 17. 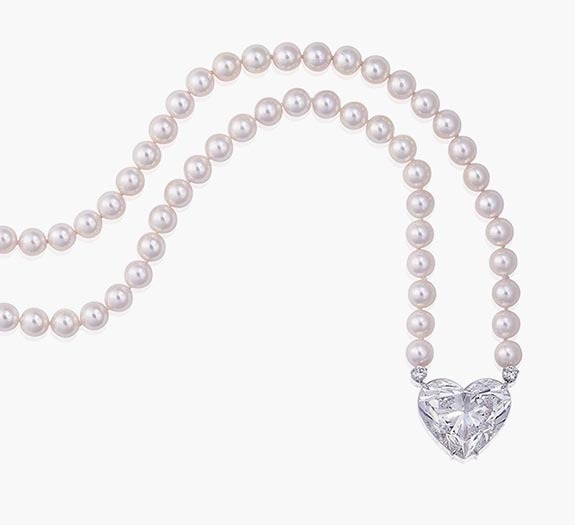 Dubbed "La Légende" ("The Legend"), the 92.15-carat gem is the centerpiece of a cultured pearl sautoir signed by Parisian jewelers Boehmer and Bassenge. The diamond is described as having perfect polish and symmetry. 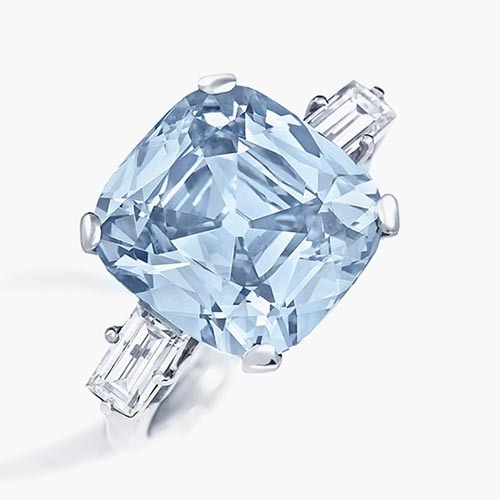 Christie's is placing the pre-sale estimate for the piece at $14 million to $20 million. 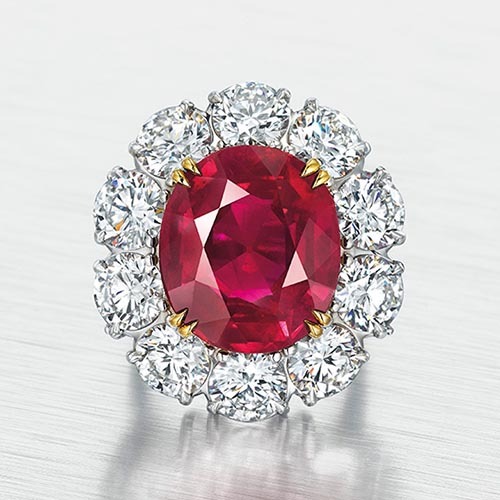 Other notable items coming up for bid at Geneva's Four Seasons Hotel des Bergues will be a Burmese 15.03-carat ruby ring, a diamond-and-platinum fringe necklace once owned by tobacco heiress Doris Duke and a 14.88-carat Kashmir sapphire ring. Estimated to sell for $10 million to $15 million is a near-flawless oval-cut ruby mined in the famed Mogok Valley of northern Burma. The gem's pigeon blood color is enhanced by a natural fluorescence that makes the stone "come alive," according to Christie's. The distinct color of a Mogok Valley-sourced ruby is attributed to the high chromium content in the ground. Duke, who passed away in 1993, was a socialite, horticulturalist, philanthropist and jewelry connoisseur. Her dad was J.B. Duke, the founder of the American Tobacco Company. 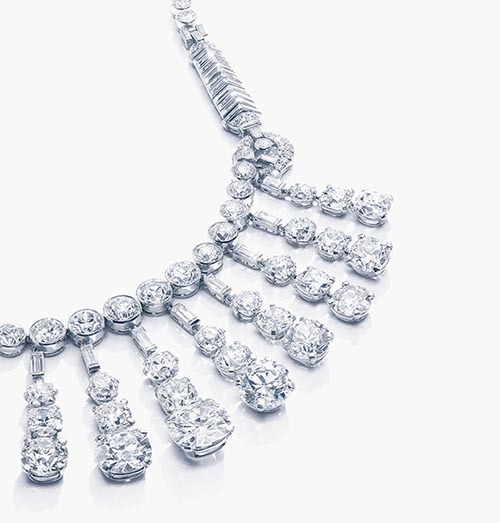 Among her prized possessions was this diamond-and-platinum necklace designed by Cartier and valued at $3 million to $5 million. Kashmir sapphires exhibit the most magnificent and sought after velvety blue color. A beautiful example of such a stone is this 14.88-carat gem set in a diamond ring. Christie's estimated selling price is $1 million to $1.5 million. In all, more than 250 lots will hit the auction block on May 17. Highlighted items from the sale will be previewed in Hong Kong, London, New York and Geneva. Credits: Photos courtesy of Christie's.